Through a series of synchronicities, I ended up at the Emerald Cup in a working capacity. Offered a gig with Meadow MD by a friend, I was in charge of wristbanding all attendees with Proposition 215 credentials. Meadow MD are a driving force in optimizing The Emerald Cup experience, as Meadow were brought on to validate medical users for access to the MMJ friendly areas. I have a good deal of experience in Colorado’s marijuana industry from retail to the behind the scenes warehouse routine, so it was really interesting to get the lowdown on California’s different laws and regulations in MMJ. I had a lot of patients throughout my shift with tons of questions, and being in the world of recreational already, I was in a good position to give an idea of what was in store for California residents when they become recreational in 2018. The world of cannabis is quickly changing, and the west coast is about to experience MMJ in an entirely new way. This is where the importance of the Emerald Cup really comes into play. After being informed of the EC’s background, I felt very privileged being able to take part in another aspect of this awesome industry. Having started as a way for farmers in the area to unite and share the best of their harvests, it has now grown to new heights. The Emerald Cup celebrated their 27th gathering this year, and it was without a doubt on another level from previous installments. Northern Nights Music Festival, which is based in Quincy, California, even curated a two stage lineup for the first time in the Cups history. This added a whole new spectrum to the weekend, with attendees welcoming the option to break away from lounging and consuming to check out music. Unfortunately we missed Chali 2na and The House of Vibe, but we caught the tail end of Pimps of Joytime – a soulful and funky 5 piece. The singers harmonizing was perfection to our ears. We decided to take a gander back to the Prop 215 lounge to check out the next round of vendors and medicinal available. There were so many booths that it would be impossible to try them all, but we’d be damned if we didn’t give it our best try, right? Our highlight from this day goes to Spoiled Patients Collective’s sugarerrl, ‘Purple Candy Cane’ by Greenshock Farms, which has been a previous EC winner and also snagged 2nd place the next day in the concentrate category! It was a head banging high with an impeccable taste that we still cannot get out of our mouths. 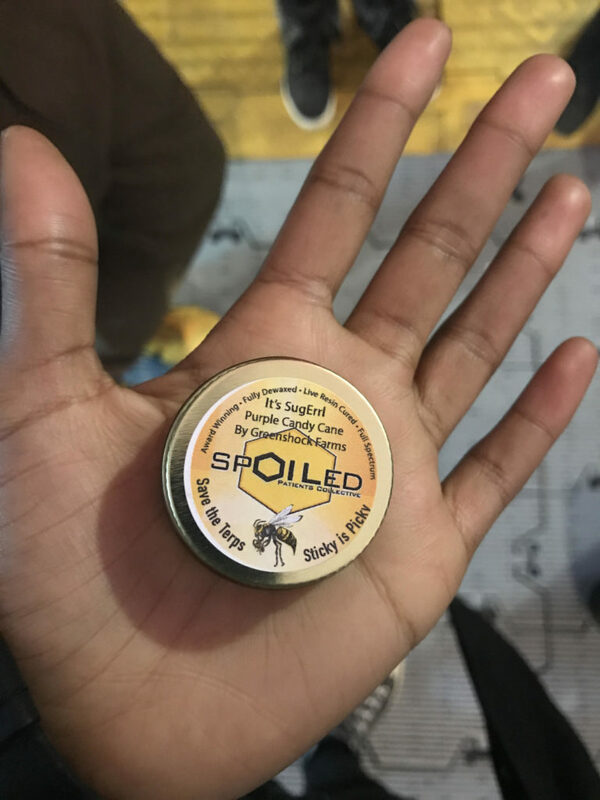 Try this beautiful concentrate if you’re able, or any product from SPC – They are mind blowing producers. Legendary band The Roots were playing but with us staying an hour away and consuming so much during the day, we decided to turn the night in having seen TR back at Wakarusa a few years back. Now that we knew what to expect from the grounds, we paced ourselves after our shifts to ensure we’d make it to all of the music tonight. 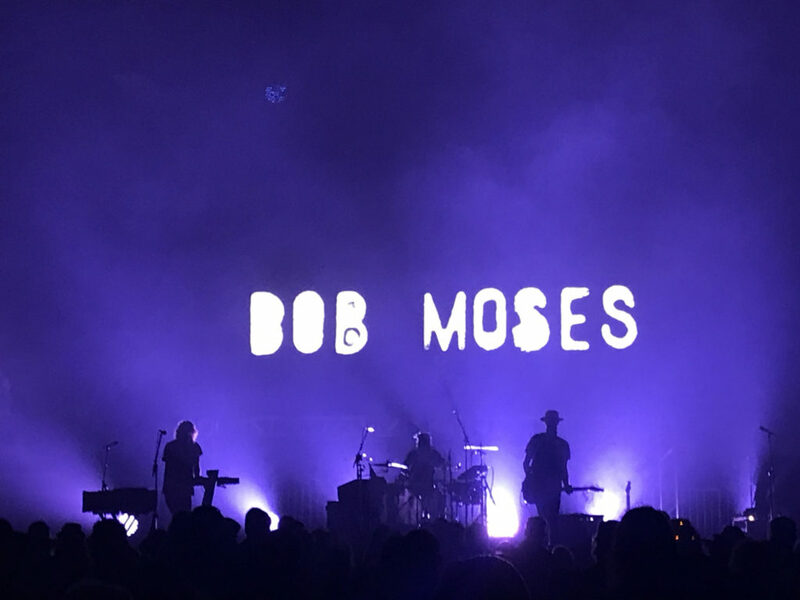 After giving a spectacular sunrise set at Burning Man this year, we were super eager to see Bob Moses again. They played lots of their sensual, almost Nine Inch Nails reminiscent tracks, while gritty visuals spun behind the band. They did not disappoint – if anything the band had gleaned their skills even further. Diving into hits like ‘All I Want’, ‘Tearing Me Up’, and ‘Grace’, it was the best performance I’d seen from them yet. Unfortunately for the band, a crowd of stoned fans isn’t the most dance worthy, but by the end of their set the feels were contagious and everyone seemed to have gained a bit of energy to groove across the floor. Drawing the largest crowd of the weekend by far, Gramatik threw down an extremely high energy set, keeping everyone glued to the floor from start to finish. Tossing up mixes from Marvel Years, GRiZ, and his and GRiZ’s side project, GRiZMATIK, fans became more rowdy with every drop. I took a break for some dabbing when the bass became too much, and I also took this time to pass out ear plugs to friends (yes I’m that grandma). 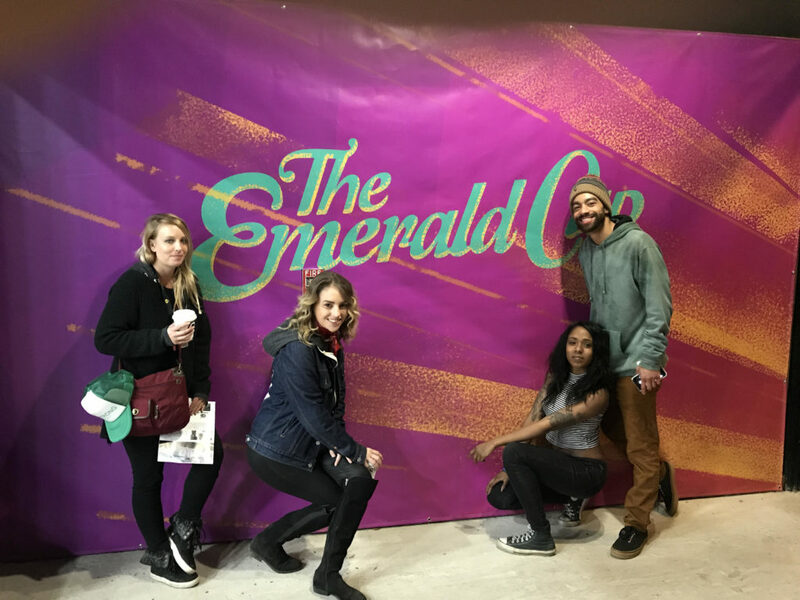 Between dab lounges, cool vendor set-ups and running into friends galore, we also found time to chill in an accommodating lounge hosted by Quest, a dehumidifier company that sponsored part of The Emerald Cup. In addition to serving the only real coffee on the grounds (had to point more than a few tired co-workers in their direction) AND cheesy puffs, my good friend Jared was working as well. Once his shift was over we crewed up to dive back into the madness of the Emerald Cup once more. Returning back to the music hall just in time for Portugal. the Man, I was grateful for the change in pace the band would provide. Having recently broken through the pop mainstream with their latest effort, Woodstock, it’s good to catch them in any capacity while you can – their live shows sell out almost instantly. Performance highlights included ‘Modern Jesus’, ‘Creep In A T-Shirt’, ‘Feel It Still’, ‘So American’, and my favorite cover – ‘She’s So Heavy’ by the Beatles. 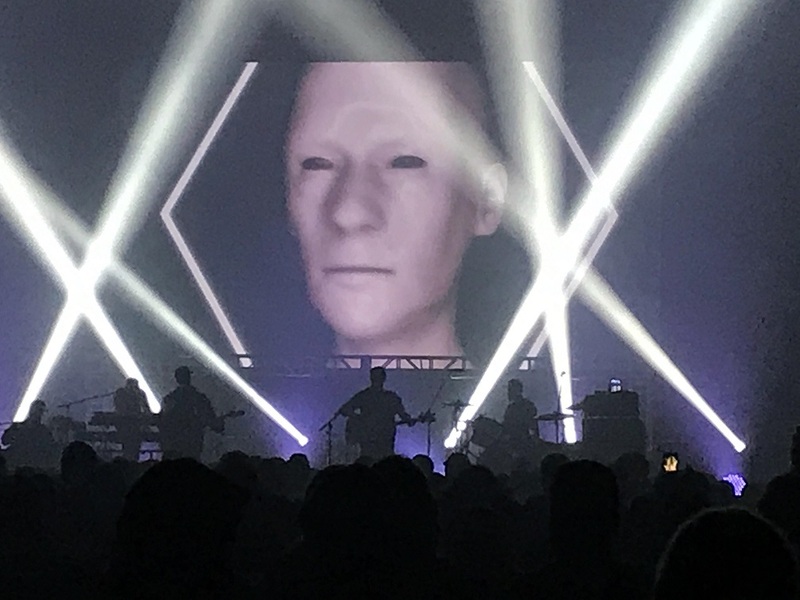 All the while, PTM were serving up some delectably strange visuals – mannequin heads, latex suited women, and explosions of water color kept our eyes fixated. We will likely never understand what goes on within this band of weirdos, but I’m satisfied being able to look in on their world through live shows. Afterward, we hit the Emerald Cup after party at a Mexican restaurant near the venue – pretty random, but a perfect space for the good times to keep rolling. All in all, Emerald Cup was the experience of a life time, and I’m counting the days until I’m back again. Emerald Cup really does it all by including top notch musical talent, the best brands in cannabis and of course, a beautiful part of the country to take it all in. Not to mention the awesome marketing going on out there – shout out to Empress Farms, who were selling wrapped bouquets of tree! Ended up being the perfect stocking stuffer. Having attended the last year of MMJ events in Colorado, it is clear that California are still able to consume and network like the good old days, but that all may soon change come 2018. 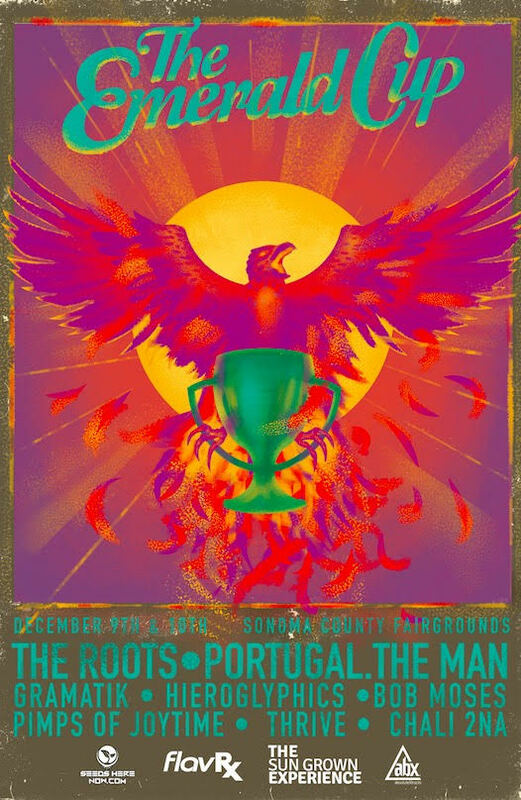 They are one of the last Cups doing it right, and if you’ve ever been on the fence about Emerald Cup, do it.